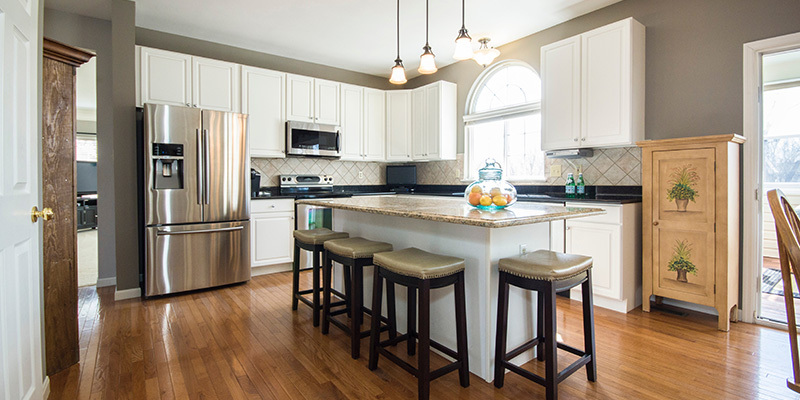 According to Bankrate, the average kitchen remodel can cost homeowners between $12,594 and $33,118. This makes it one of the most expensive home improvements a homeowner can make. However, for most of us, the kitchen is the center of many treasured memories with friends and families and a vital part of our home, which makes the investment all the more worthwhile. A kitchen renovation is also one of the home improvements that is likely to boost your home’s value, averaging an increase of around $20,000. As you begin to think about your kitchen remodel plans, an important decision you must make is the financing of it. If you’re itching to get moving on that kitchen renovation, check out some ways you can fund your kitchen plans today. This is quite a popular option for homeowners, coming after personal loans. Given the financial scale that a kitchen renovation can reach, many renovation contractors and homeware stores now offer credit options to customers. This allows you to pay in installments over time. As with any other loan, they come with financing charges (interest rates) and terms and conditions. The comparison of options can be tricky with this option. Your choice is limited to one loan unless you’re willing to swap contractors and possibly your kitchen design. On the plus side, it collates the financing, design, and labor into one place, making the process less lengthy. Another increasingly popular go-to credit option is to secure a personal or home improvement loan. For new homeowners or those with very little equity, this route may be preferable and pose no risk to your home or other assets. Thanks to growing digital lenders, the application process is quick and simple. As a bonus, personal loans tend to offer more favorable repayment terms and interest rates than consumer finance and credit cards. While not mandated, having a kitchen remodel or design plan in hand can help secure your approval for the loan. In addition, your credit history will be checked; lenders look for credit scores of 660 or higher. You can also make your home equity work for you by using a line of credit from it. Based on the amount of equity you have built up in your home, you can then ask your lender to draw funds up to a specified limit. Typically, lenders look for a loan to value ratio of 70 percent or more, which means the ratio of your mortgage value owed compared to the current value of your home. Approximately 20 percent of all mortgaged homeowners have their outstanding mortgage worth less than 50 percent of their home value, meaning this could be a quite favorable choice. This applies to all homeowners, including seniors who may have spent a considerable amount of time in their home, or retirees with no plans to move. Reverse mortgages cater for those ages 62 and over, and allows seniors to borrow against their home’s value in their home states. In places such as Illinois, this is a common option with large banks such as Wells Fargo offering it. With this option, lenders will look for a credit score of 700 and above, along with a debt to income ratio of 43 percent or less. The final suggestion is to utilize credit cards to finance your kitchen ideas. The application process is very fast and easy, which makes it an appealing option. While interest rates can top 20 percent in some cases, good financial habits and planning can help you avoid the pitfalls of debt. When choosing a card, make use of loyalty programs and cashback offers. Some lenders also offer interest-free purchases for a promotional time which means you avoid finance charges for that period. Every homeowner aims to have their fantasy home. So go ahead and begin dreaming about your perfect kitchen. With so many options available for financing, there’s definitely a way to make your dreams a reality.